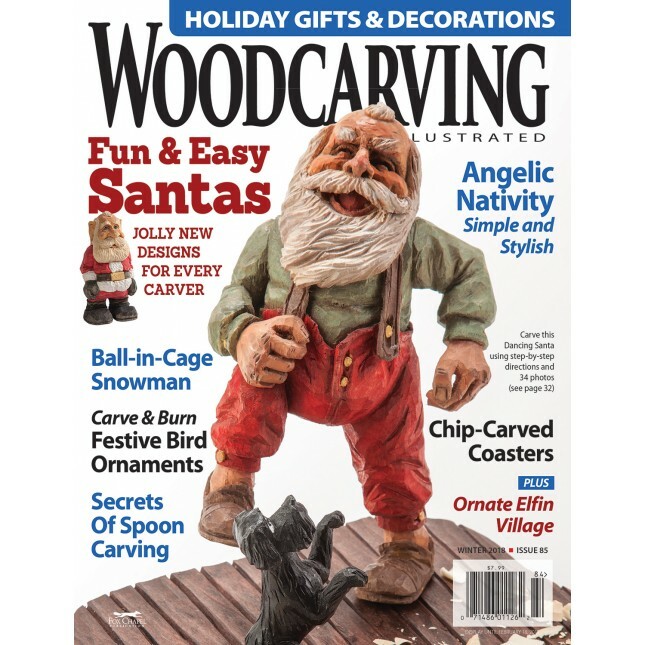 The Winter 2018 issue of the world's best how-to magazine for woodcarvers is packed with patterns, techniques, tips and projects for all skill levels. This holiday-themed issue dishes up a whole sleighful of Santas to keep you busy making gifts, decorations, and ornaments during the months leading up to Christmas. 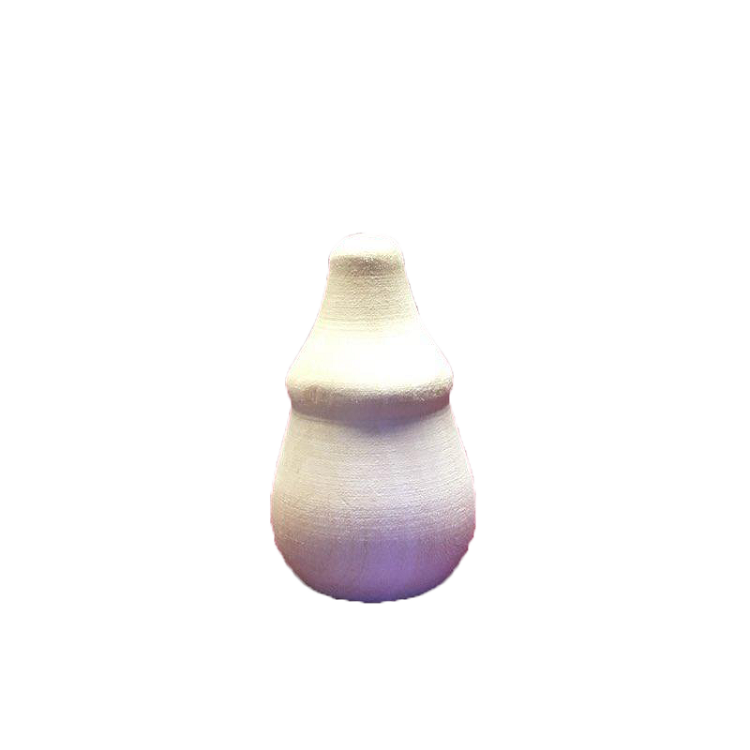 Beginners will enjoy making Roger Beane's ingeniously simple Pear-Shaped Santa, and classicists will love Dwayne Gosnell's Jolly Old Soul, while those looking for something different will appreciate Dave Francis's Peppermint-Stick St. Nick. We devote eight pages of detailed instructions (along with 34 photographs) to help you bring Wayne Shinlever's Dancing Santa to life. There are ornaments in abundance, along with other memorable pieces like Peter Zanauskas's delightful Ball-in-Cage Snowman and Chuck MacKnee's striking Circle of Love Nativity. Topping it all off is an amazing photographic tour of Betty Padden's Carved Christmas Spectacular, an entire elfin village doing double duty as a tree stand.